I couldn’t understand what all the fuss was about – a few pieces of plastic? Hmmm. 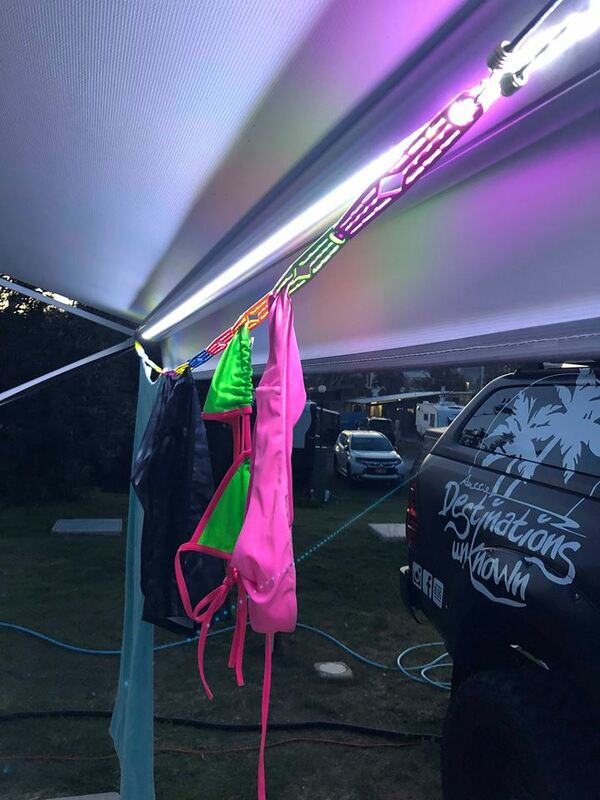 But, at the same time I was researching what the best clothesline was to use while we were away in our caravan or rooftop … and would you believe this is one of the options I stumbled across. The others all involved drilling into the van or awning, clunky things that fall over when it’s windy and other suggestions I wasn’t remotely interested in. I read the user reviews, watched a few videos and purchased 2 straight away. They arrived, and they are every bit as good as everyone says they are! Unbelievably compact and unobtrusive, versatile, colourful and super easy to use. We have a few in the van and also in the back of the hilux for when we take the rooftop. They string up perfectly under our awning on the van and the batwing awning we have on the back of the car. 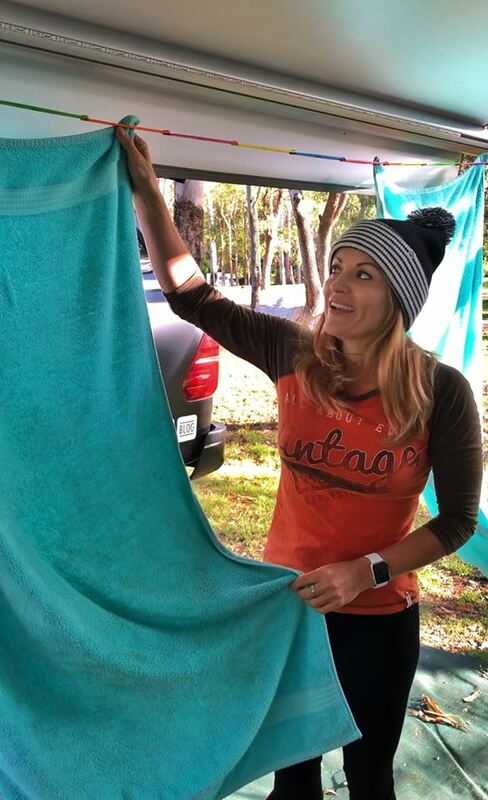 They are strong enough to hold wet towels and jeans and are perfect for all my bikinis and light washing we do on the go. If things aren’t dry when we leave, we just string it up in the van while we are on the road. Perfect. My one piece of advice? Make sure you buy at least 2! No more fiddling with pegs. 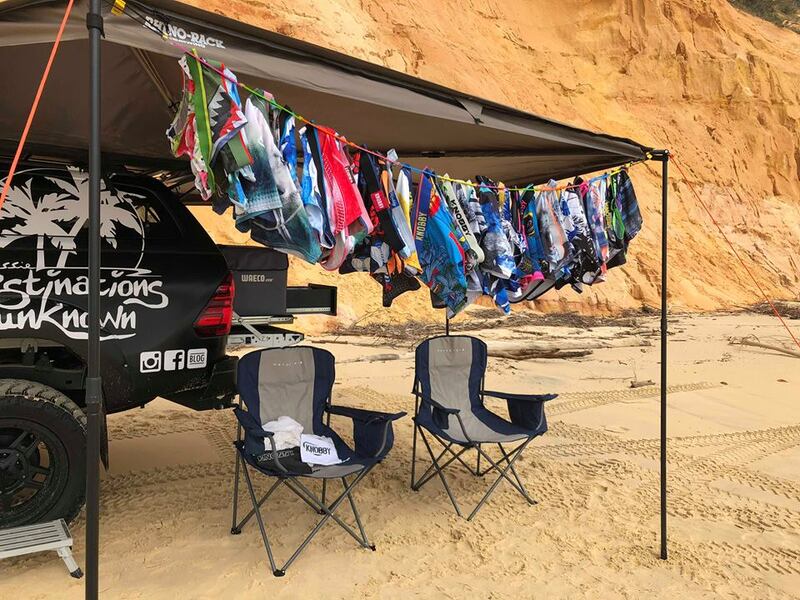 Hanging your washing is fast and easy with the pegless clothesline. Easy on, easy off. Simply slide your washing into the slots to dry. Ideal for drying all your family laundry – babies and children’s clothing, cloth nappies, jeans and towels. Head to our online store to grab yours now!